Along with a throng of other elementary schoolers, this beautiful strong little lady read 26 books, ran 26 miles, and did 26 good deeds for Go! St Louis’ Read Right Run. This little lady (along with 100s of other little ladies and fellas) reached an exceptional goal. Through the Go! 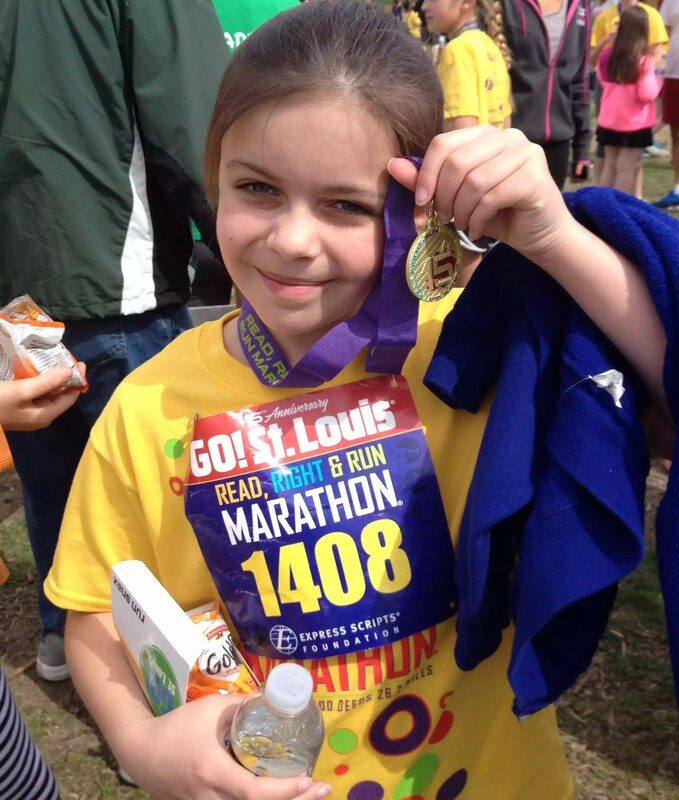 St Louis Read, Right, Run program, kids all over the St Louis area read 26 books (the Read part), did 26 good deeds (the Right part), and ran 26.2 miles (the Run part). What I love about this event is that it celebrates WHAT these kiddos did. 26 books, deeds, and miles is no small task. But they did it! And they learned dedication, time management, and stick-to-it-iveness (yeah, its totally a word) along the way. They set a goal– a pretty lofty one if you ask me– and then they obliterated it. Now that’s pretty darn beautiful.